Cancer is the inappropriate expression of your DNA. Cancer is not an invader. It is something not communicating correctly at a cellular level. So, you need to heal not destroy.” Quoted by Mike Adams, the “Health Ranger“ an outspoken consumer health advocate, award-winning investigative journalist, internet activist and science lab director. Cancer is just the tip of the iceberg revealing that there are so many other underlying problems in your body before the symptoms of cancer appeared. You are already sick when you get cancer. Your body is already compromised. Your immune system is weak, you’re toxic, you’re stressed out, your body is acid, your cells lack hydration and that’s why cancer develops. Cancer isn’t just something that gets you. It’s something that develops over a period of years. You’re not a victim of it. You have a lot of control over it. Eventually, humanity will come to terms with the fact that healing and preventing cancer comes from within. The true role of any health practitioner is to empower and facilitate that healing from within. It is now a known fact that stress, our life styles, low energy levels, lack of appropriate levels of hydration and oxidation at cellular level and bad eating habits, lowers our vulnerability to all diseases by affecting all our bodily systems including and especially our immune system. Immune cells become sloppy and they make a mess of their job by behaving unintelligently. With more of the above bad habits, that mess gets bigger, more out of hand, creating collateral damage. The fundamental issue is that the immune system which is all over the body, has developed a lower frequency than its normal of between 50 and 75 Hz. Once this has happened, the immune system misses the cancer and other diseases – then this system becomes disrupted and all hell breaks loose in sections of your body. So, cancer is first and foremost a disease of the immune system – immune deficiency – low immune frequency. Obviously, you need to remove the stresses and bad habits that are causing it to not work and take responsibility for the wellness of all your systems through a conscious healthy lifestyle. Conventional chemotherapy for cancer leaves much to be desired under “healthy lifestyles”. Antibiotics, radiation and chemotherapy cannot cure anything – all they do is attempt to put the body in a position so that the immune system can again take over and do the curing. What happens if you cannot get your immune system going again? This unfortunately happens in most of the chemo cases and death can be the outcome. It was Newtonian physicists’ belief that the human body is like a machine that is made up of chemicals, and is controlled by genes. Accordingly, it has been a practice to use chemistry as the controller of body related activities. If described from Newtonian perspectives, the atom is regarded as being a physical entity; thus, asserting the body composition to be matter requiring physical methods of healing. However, the advanced research by Albert Einstein and the efforts of many Quantum physicists, has presented entirely different information. When the structure of an atom was explored, there was nothing like physical element observed, but only energy. 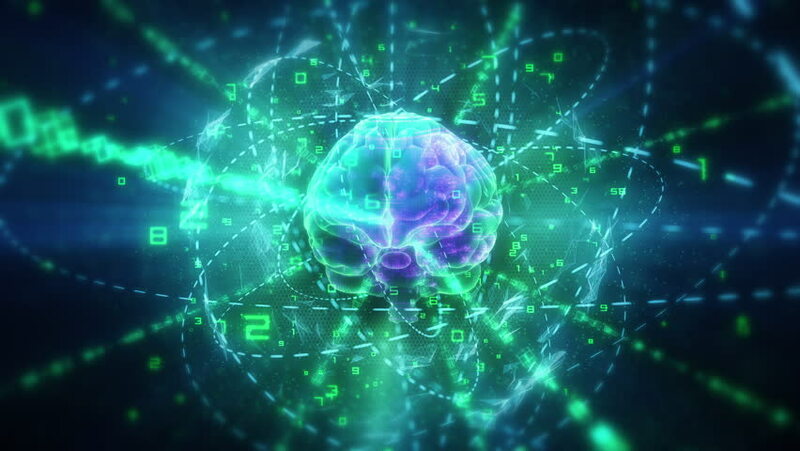 The atom turns out to be composed of energy particles. Unfortunately, Doctors still regard the body as being a collection of chemical atoms. Whereas scientists now know that all molecules, cells, tissue and organs in a collective manner, turn out to be made of energy frequency and not matter. Remember what I said earlier, no doctor has ever healed anybody of cancer in the history of the world – the immune system heals. So, the first step when you have or are threatened with a dreaded disease like cancer, viral or any bacterial diseases or even a heart challenge or Alzheimer’s, is to stimulate the immune system back into action – improve the immune system response. It was created to recognize, fight, fix and repair everything that is missing and needs to be repaired before you start any other remedies. This is done with getting its innate frequency back-up to its maximum frequency. Your Immune system may have the right white blood cells, strong T and NK cells but can it recognize and kill cancer cells – it needs Nano-factor intelligence to do this. Although your Immune system is powerful and has billions of cells at its disposal every minute of the day, it also needs intelligence. This intelligence is brought back by exposing the body to the correct higher frequency. Remember what I said, health is from the inside out – you are the cause of your diseases, cancer or otherwise. Without good nutrition, effective hydration & cooking habits, you are fighting with no weapons. Without a strong, balanced, intelligent immune system you are fighting without an army. Taking excellent care of your immune system must be your first step – then all the alternative treatments can fall into place that you choose to use, even if it is allopathic treatment. In Washington – The nation’s oncologists have issued their annual report (2016) on their progress in the fight against cancer, and they say the biggest advance in recent years has been the growth of immune-therapy. In this report, The American Society of Clinical Oncologists indicate this relatively new technique can revolutionize cancer treatment. “I think the widened applicability of immune-therapy made us feel it is time to designate it as the advance of the year,” says Dr. Don Dizon of Massachusetts General Hospital, a co-editor of the report. The premise behind this form of treatment is simple: “Find a way for the immune system to detect and kill cancer cells”. The immune system has the greatest potential for the specific destruction of tumours with no toxicity to normal tissue and for long-term memory that can prevent cancer recurrence. The last 30 years of immuno-oncology research have provided solid evidence that tumours are recognized by the immune system and their development can be stopped through developing a strong immune response which includes hydration and oxidation of the cells. What’s more, since the immune system has a built-in memory, it continues to go after cancer cells, so the response can be longer lasting and more complete. We can now heal our immune system at home with the CellQuicken RoyalVibe. It is the most enhanced and advanced high-energy frequency healing device in the world. Drinking Bottled Water Does Not Hydrate You. We need to ensure the water can enter the body’s cells and not just pass through the body. By restructuring the water molecule in our drinking water, we can ensure higher hydration and oxidation at cellular level. This is now called Vibe-Symbol Water; the vibrational intent to imprint the desired outcome of structured hydration and energy alignment. Dreaded diseases like cancer cannot survive in areas of the body which are fully hydrated and vibrating at a healthy frequency. Success of the CellQuicken has far exceeded the expectations of patients testifying about their cancer being cured. This non-intrusive, totally safe, ultrasound home-care technology takes place while sleeping and has revolutionized our health care and our belief systems of possibilities – Igniting Hope for New-Health. You can download my free e-Book called “Immune System & frequency Healing” and receive my weekly emails on this subject – Click Here.